No excuses, guys. We’re all busy, especially those full-time workers with an ecommerce side-hustle. We often get overwhelmed with everything that we should be doing, and end up not being able to find time for it. 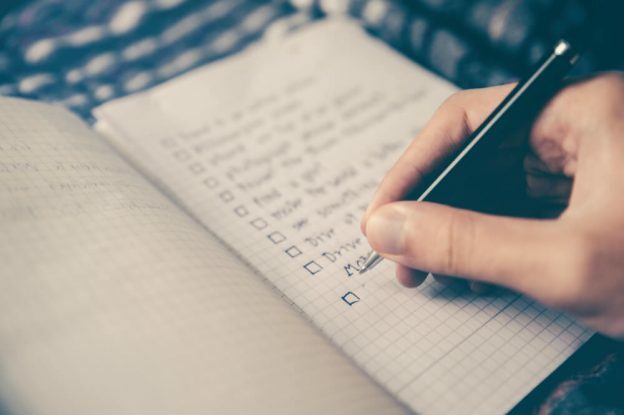 The next time you have a spare 15 minutes between engagements, take a look at this list and check off something you can do that doesn’t take long, but will still propel your business forward. 1. Update your store’s products with alternatives. This is a useful tool you should be using for your store. 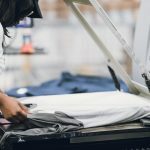 Basically if one of your regular products is out of stock at our suppliers, we’ll print your orders on the alternatives you set so there are no fulfillment delays. This is especially a good idea in light of American Apparel’s recent bankruptcy and transition to Gildan. If one of your American Apparel products goes out of stock, we’ll have an alternative to print on. Watch the tutorial on setting up here. 2. Update your packing slip text. Take 15 minutes to go into your settings and update the text that gets printed on every one of your packing slips. Go to Stores->Settings->Packing slip to alter your text. Consider writing a simple thank you, or a discount code your customers can use for their next purchase. 3. Improve your meta description. The meta description is the text you see in Google under the title. Most ecommerce platforms offer editing your meta description through their platform, you can learn more about that here. Though this description doesn’t help you rank better in Google, if written well, you can use it to attract more visitors to your site. 4. Search Instagram for your product photos. When you’ve got a teeny bit of downtime on your hands, take a peek into Instagram and search your product name or any associated hashtags for user images. 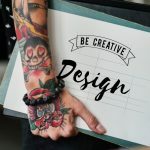 Not only does it give you the warm fuzzies, but by saving the images to a file, you can use them as future social media content or even place them in a gallery on your site to inspire others. 5. Write a heartfelt social media post. Long format posts are having a moment. Even Gary Vaynerchuck is advocating using social media to essentially blog, or rather, to post long-format content. People will read it, they’ll be more in touch with you, and hopefully, you’ll create stronger bonds with your followers, which equals repeat customers! 6. Create a gif out of rotating product images. A gif is super cool and classy-looking. It can be easily created by putting together different product images of yours. There are plenty of free tools to create gifs, and they increase conversions. 7. Turn an existing blog post into a video. Use Lumen 5 to turn an existing blog post into an explainer video. You simply upload your blog content and then choose what text should be highlighted on each slide and the background image. And just like that, you’ve maximized your hard work and built an awesome piece of content to share! 8. Have a brainstorm session. Take a minute to sit down with your ideas (or bonus: surrounding people!) to think up ideas for upcoming sales or campaigns. Campaigns = more sales, so the more, the better. In fact, we believe that the optimal campaign amount is about one per month. 9. Put an existing design on a new product. Use the mockup generator to try out an existing design of yours on an entirely new product. If it looks good, then publish on your store! Make a big deal of it, send out emails to your subscribers, put it up on social media, and generally remind your followers that you’re there and you’re constantly working to expand. 10. Improve the product description for your best-selling item. The product description is a key factor in convincing your visitor to buy your product, and it can always be improved. To make the most of it, take your best-selling item and think about how you can make it sound even more of an attractive prospect. Here are some tips for writing killer product descriptions. 11. Put together a seasonal mood board. People love mood boards, and they love sharing them. Create some and include your products in them. The benefit is multi-fold: you get a cool and relevant visual to share on social media, you show your product in the context of the season + trends, and you help visitors visualize how they can implement your product in their lives. Definitely worth a go! Here are some tools to create your mood board. 12. Style a flat-lay photo with products you have on hand. Flat-lay photos have become a major staple of internet images. Place any sample products you have on hand and lay them out with other relevant products. 13. Sketch out an outline for a blog post. Blogging is an excellent way to develop new leads for your online business. Take a moment to sketch out and idea for a blog post and what you could write about to build an audience and engage your readers. If you’re stuck for ideas, check out this list. 14. Flesh out your editorial and promotions calendar. Stay on top of your game by noting what you want to publish, which campaigns you want to run, and when. There’s nothing worse than having a holiday sneak up on you and then losing potential sales because you weren’t prepared. Here are some free editorial calendar templates to get your started. 15. Take a look at Google Analytics. Take a moment to go through your store’s analytics to see how sales are doing and spot some trends. Which products are most often bought together? 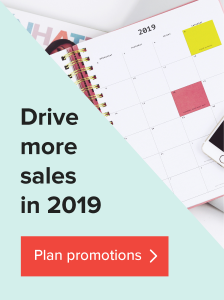 When do you have the highest sales? Where does the most traffic that leads to sales come from? If you don’t have a firm grasp of Google Analytics yet, check out our beginner’s guide to Google Analytics. 16. Comb through support emails for reviews. Go through your customer support emails to look for super grateful customers. Follow up with them to ask how they’re enjoying the product, and then gently ask for a review. This form of social proof will help boost your conversions up to 63%, according to one study by iPerceptions. Use the reviews on your homepage, product page, or social media. The list of opportunities goes on. 17. Take a behind-the-scenes photo. Fans love seeing the behind-the-scenes of brands they love. Why not send in a selfie of you diligently designing away a new idea? 18. Ask for feedback from communities. If you’re stuck in a rut, reach out to communities for feedback about a potential new product or design. In return, you’ll have validated your idea and possibly received some useful suggestions on improvement. Not to mention, you’ve successfully attracted attention to your store in a non-spammy way. Win! Some communities to reach out to are Reddit, Shopify forums, or Printful Insiders. 19. Tidy up your desktop, both physical and digital. Arrange your different ecommerce related files into easily found and managed folders. That way you’ll never have to scramble to look for your most recently updated print file, or where you saved that customer photo you found on Instagram. 20. Write a thank you note to your most recent buyer. This takes nearly no time or effort at all and makes the world of a difference. Your customer will feel special, will forge a closer bond with your brand, and will be more likely to leave a positive review or come back for a repeat purchase. Gratitude is the gift that gives back! Bookmark this post, so that the next time you find that you have 15 minutes to spare you won’t be struggling to think of something productive to do. You don’t need all the time in the world to grow and maintain an online store, it just takes a few minutes here and there throughout your week. Have any other ideas? Write them in the comments below! And if this post inspired you to launch your online store – download our free ebook to get the rundown on how to do it. From picking your platform to creating and marketing your products, it’s all covered. I want to scale the growth of my store and I found this article really helpful especially taking flat-lay photo and posting it on social media. Now we believe it’s time to spice up the Instagram game. Thanks a lot Julia for such helpful article. 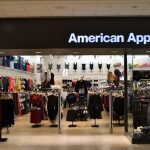 [Updated] What’s happening with American Apparel’s stock and how does it affect you?